Everyone is on the go these days, including stoners. Hey, we have to pay for our weed somehow, right? So when you’re sitting in your car, waiting for your next shift to start and you want to smoke but all you have are papers, what are you supposed to do? Rolling a joint or blunt on a dashboard is extremely inconvenient… And conspicuous. Thankfully, some stoners are incredibly creative and one in particular has created something that will help smokers everywhere roll joints literally whenever they want. Rollawear is a company that was formed May of last year, when the founder was attempting to roll a joint on a ticket. Definitely not an easy feat. So he thought, “well what if this was a shirt… and you could roll on the shirt?” The idea was born. Rollawear produces shirts that have a built in piece of material near the bottom hem that serves as an impromptu rolling board whenever you need it. No more stealing McDonalds trays! Not only that, but a shirt is super sneaky and from the outside, you can’t tell that the material is there. The shirts are totally safe for machine washing and drying. They come in a couple of different colors and the logo is tucked in to a corner of the shirt so you can wear them everywhere. There’s also plenty of space left for a company to add a logo or name to the shirt if they so desire. Each shirt is made with the customer in mind and all attempts to keep pricing fair are made. Not only that but 10% of profits are donated to marijuana related causes, among others. Can’t really argue with a company that actually gives back to the movement! 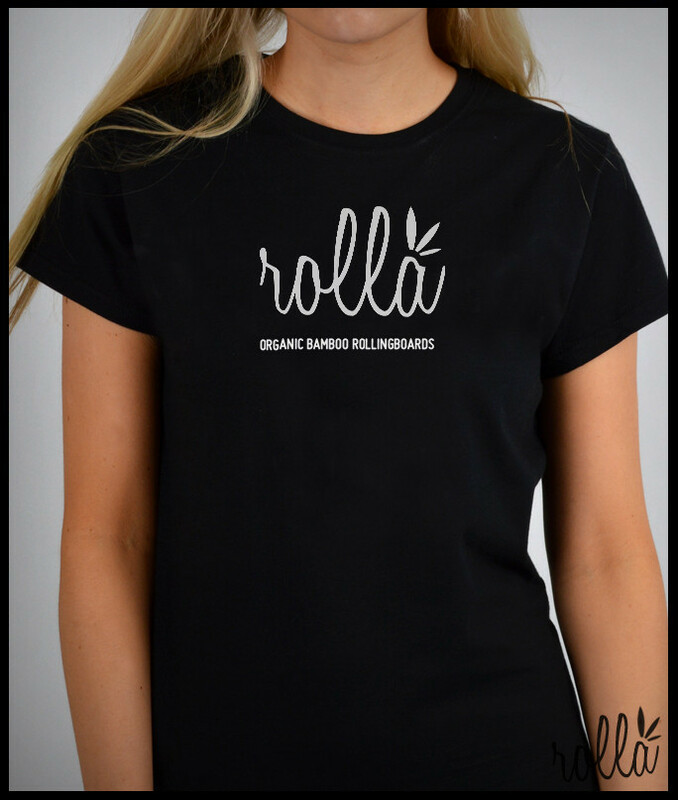 You can purchase the Rollawear shirts online on their website (please excuse the construction!) at www.rollawear.com. Innovative stoners that create things like this are definitely a huge asset to the marijuana community. If we support each other, it looks better to the people that are constantly scrutinizing us. Plus, how can you argue with being able to roll up whenever, where ever you want because there’s a rolling board build in to your shirt. This entry was posted in Stoner Reviews and tagged stoner reviews.